More exclusive Fortnite items may be on the way for the Galaxy Note 9 and Galaxy Tab S4 owners. A recent data mine hints at a “Galaxy” named weapon skin and llama spray. While Epic Games is yet to confirm either of those items, addition of new game files gives us a good reason to believe this may be happening. Meanwhile, the Fortnite Season 7 itself is bringing in a host of new skins and gear to the game. So it would be interesting to see how more exclusive items fit in. Fortnite news site FBR News recently tweeted that a weapon skin called “Galaxy” is on the way. “50/50 chances of happening: Yes there’s a weapon skin called ‘Galaxy’ but there’s no texture or images of how the weapon skin of ‘Galaxy’ looks. Is real is on the files, but there’s no way to confirm if it’s really happening or not happening. We will need to wait and see,” the tweet read. The Fortnite llama spray, meanwhile, was snaffled out by ShiinaBR on Twitter. “New GalaxyLlama Spray! You get the Spray if you have the Galaxy Skin. I don’t know when it will be released,” the account which specializes in Fortnite leaks tweeted. 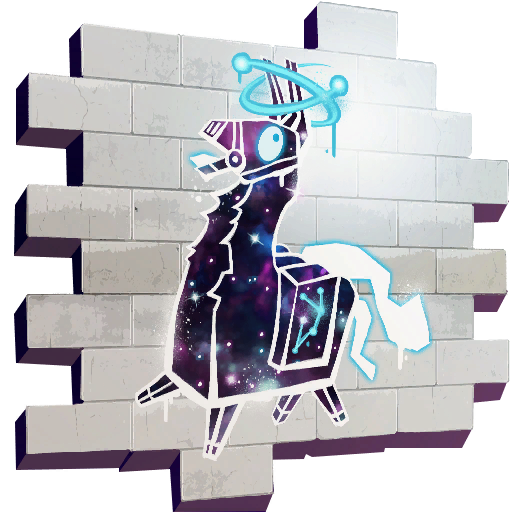 The spray highlights the Fortnite llama wearing a Galaxy skin and matching the look of what is available in the cosmetics set; skin, pickaxe, back bling, and glider. Samsung has been showing great interest in mobile gaming lately. The company is reportedly investing £31 million (~$40 million) for some Galaxy-exclusive games. Samsung may also have a gaming smartphone in the pipeline.